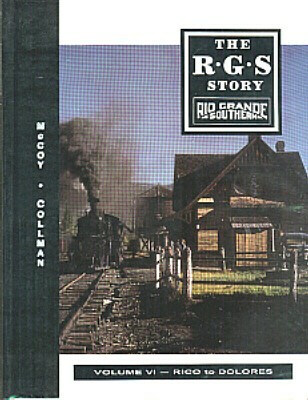 The RGS Story Volume 01 - "Over the Bridges - Ridgeway to Telluride"
Otto Mears' narrow-gauge Rio Grande Southern Railroad began at Ridgway in 1890 where this amazing story starts. The line eventually covered a distance of 162 miles to reach Durango. 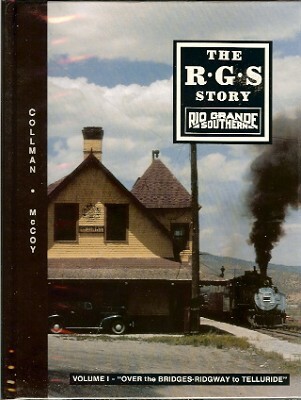 The Ridgway roundhouse and station grounds begin this volume which continues with trains climbing to Dallas Divide over to Placerville and Vance Junction. From Vance Junction, the mile-by-mile coverage is continued over the Telluride Branch. Structure drawings are included, such as at Vance Junction, with pictures. Featured are views of engines and Galloping Geese, as well as passenger and freight trains. By Russ Collman & Del A. McCoy. Second printing, copyright 1990 & 1999 Sundance Publications Ltd. 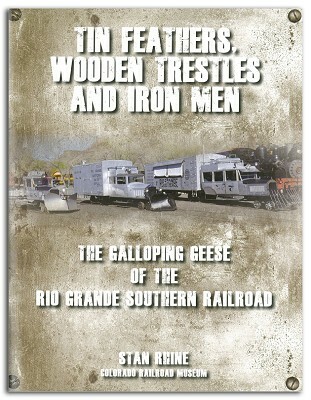 Published by Sundance Publications, Ltd.
496 pages, 446 black-and-white images, 103 color images. 8.5" x 11" hardbound with protective plastic cover.